I can see that I'm not the only one interested in M1 trains during grade elimination. 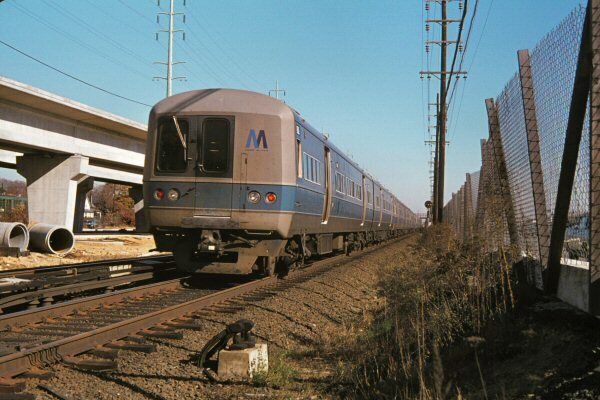 As far as LB, Doc, and myself know, there are pictures of M1's at Merrick, Bellmore, and Massapequa Park during grade elimination of the Babylon Branch. 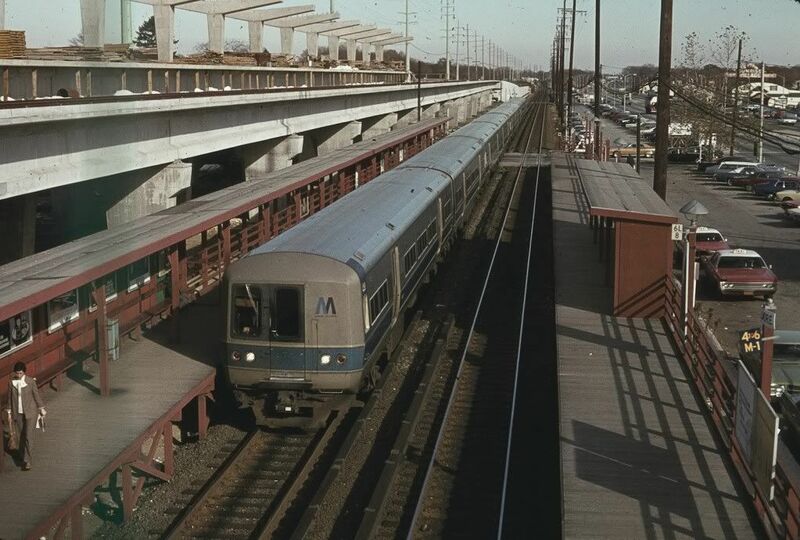 For the other stations, I have found pictures of trains at the temporary stations in Rockville Centre, Baldwin, Freeport, Wantagh, Seaford, Lindenhurst, and Babylon during elimination. 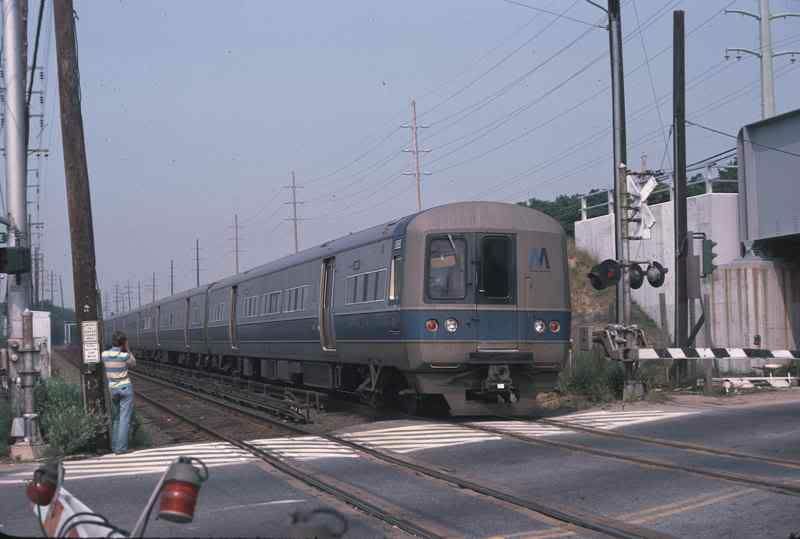 I know M1's stopped at Merrick, Bellmore, Massapequa Park, Amityville, Copiague, and Lindenhurst during their elevations because they had high platforms, unfortunately I've searched everywhere, but I know someone out there has photos of them, but I'm not the only one that can't find them, I know one day they will pop-up. The reason it's become a huge subject, is because some of these elevated stations will be turning a milestone age. 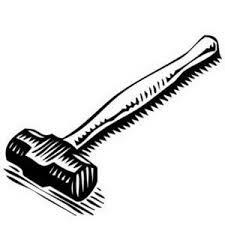 Amityville, Copiague, and Lindenhurst will be turning 40 in August 2013. 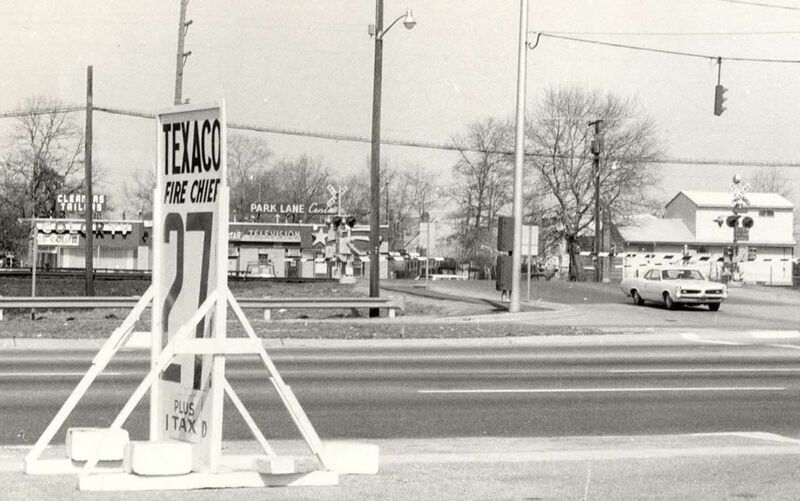 Babylon will be 50 in 2014, Valley Stream will be 80 next year, Massapequa Park just turned 31 this past December. 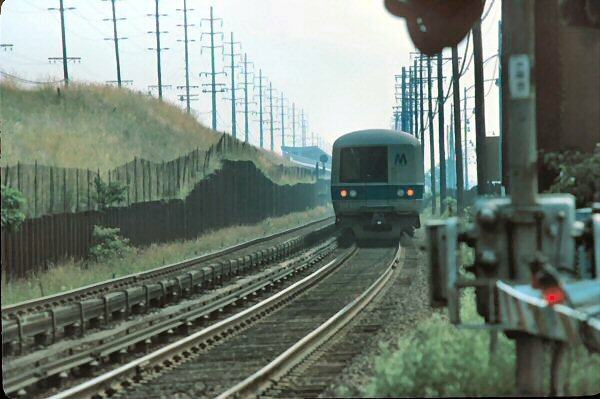 Plus the M1 was a turning point for the LIRR. 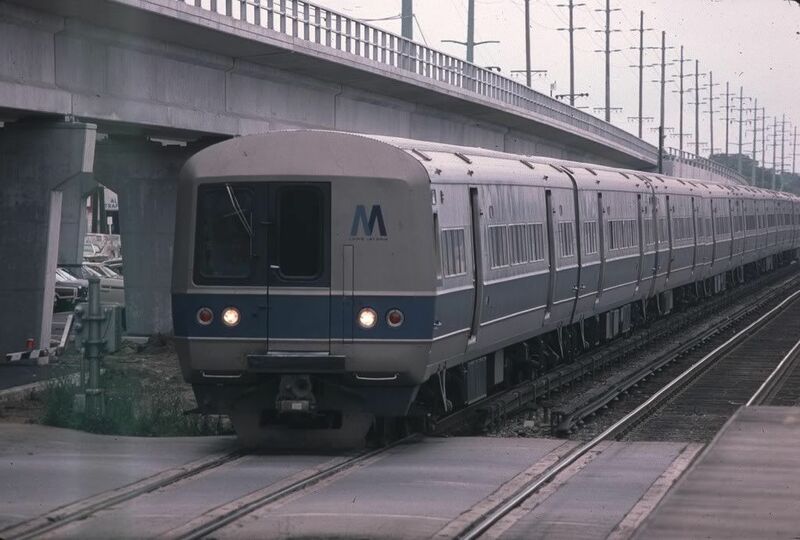 Those sleek trains cut travel time from station to station dramatically, made a huge impact with speed, it's comfort, and finally the fact that it came out when we switched to MTA ownership which completely revolutionized the railroad and gave it a makeover. Anyone have any pictures of the grade elimination with the old diesels running through the area? SlackControl wrote: Anyone have any pictures of the grade elimination with the old diesels running through the area? NH2060, there is a good reason why the Railroad didn't just permanently relocate the tracks to the temporary location. 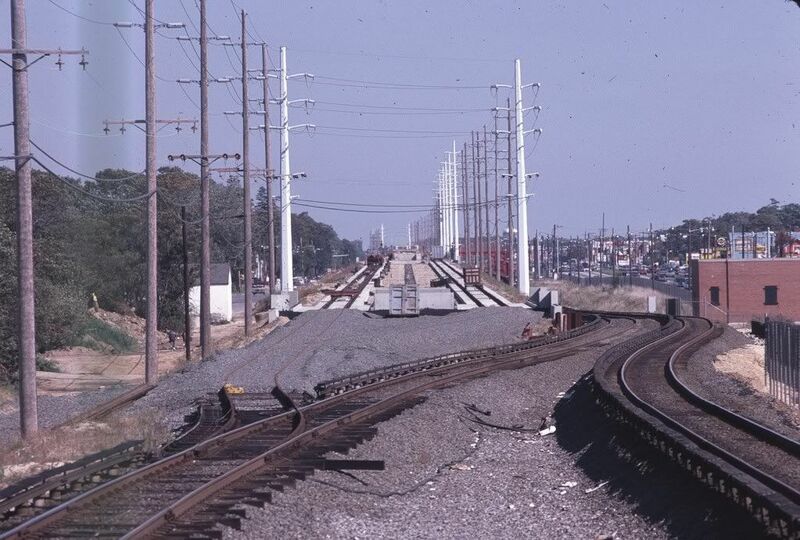 In most cases, the railroad doesn't own the land on which the temporaries are constructed. They lease it for a few years, then give it back to its owners when finished. 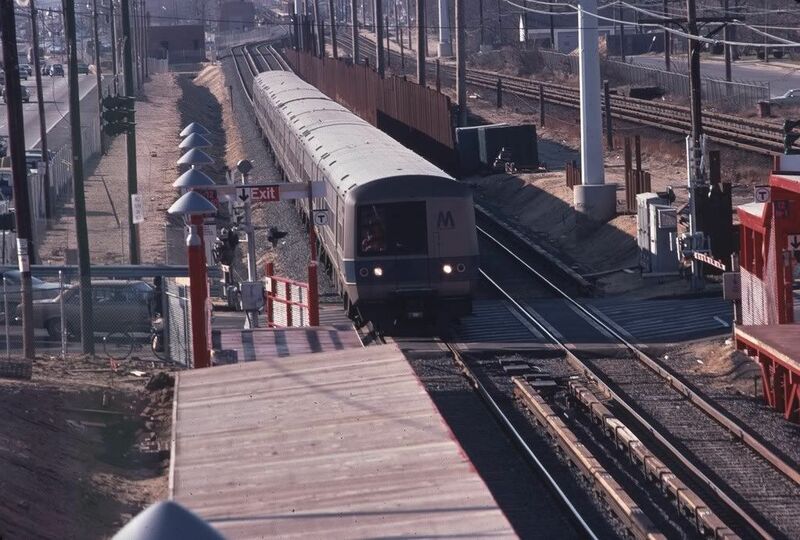 On most of the Montauk Branch elevation, the land on which the temporary tracks were placed was and is owned by the City of New York. ...a "tool" of the administration"
LongIslandTool wrote: NH2060, there is a good reason why the Railroad didn't just permanently relocate the tracks to the temporary location. Ah that explains it. Thanks for the clarification! Even the land in Nassau County is owned by the City of New York? 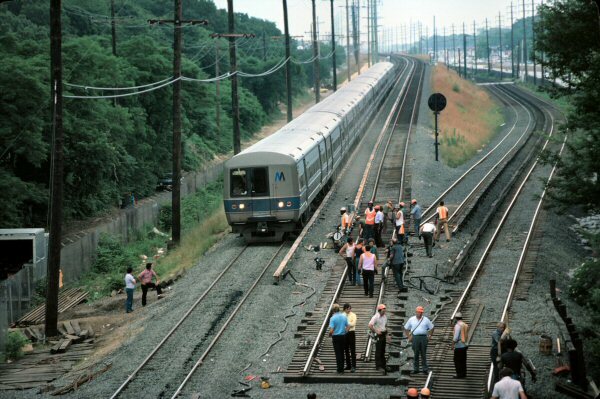 Incidentally, I remember the Floral Park grade crossing elimination. I was in high school when that started. 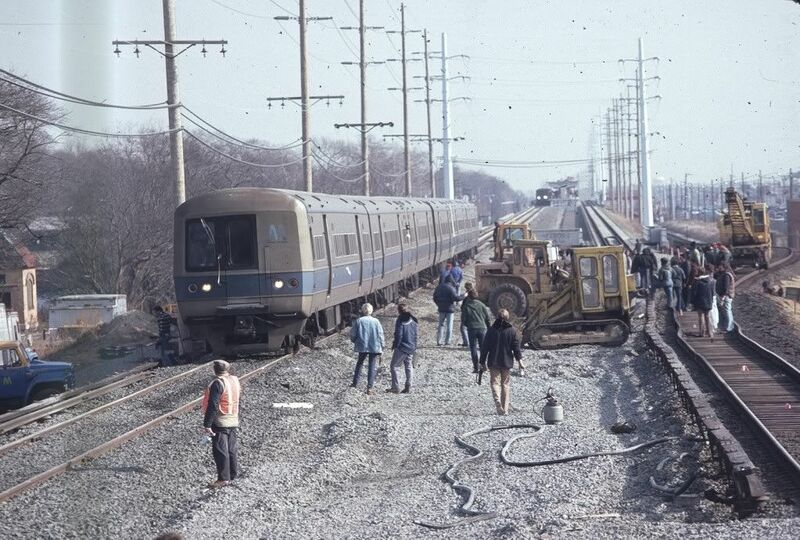 Today, riding the main line or the Hempstead Branch, the houses with their backyards seem so up-close to the right of way, I can't imagine where they would have put the temporary tracks, but they did, and I remember them. Man, the photos just keep coming in and in LB. I have to thank you a ton man, but at least I'm not the only one that is interested in M1's during the elimination. 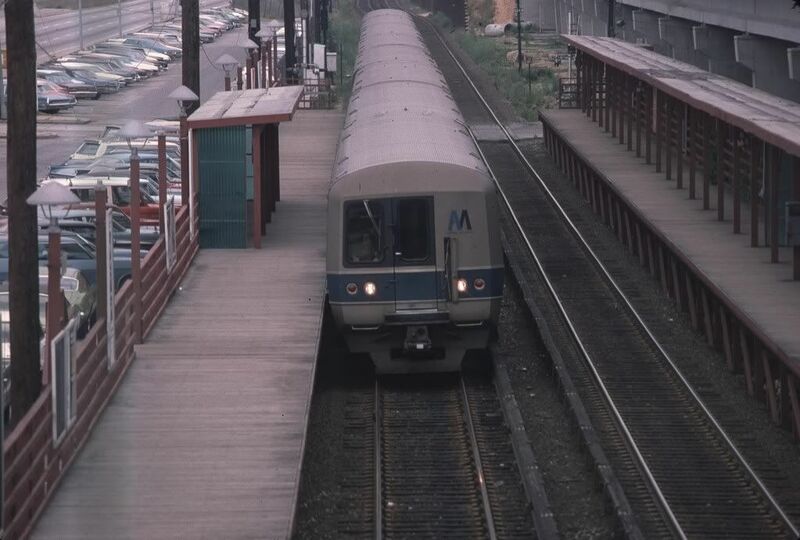 But, just for the heck of it, if anyone has photos of the M1 LIRR trains during the elevation of the Babylon Branch, grade crossings before elimination, or have photos of stations with the high platforms from back in 60's, 70's, or early 80's, you might as well upload them and share them with all of us, please, because a lot of us would love to see them because it holds history, and it would be greatly appreciated, and keep the conversation going with something we can learn everyday. OK, one more batch from Bellmore and Massapequa Park. Keyboardkat, maybe you can answer a question that no one else on these boards has been able to do, since you were a Floral Park resident during the crossing elimination project. 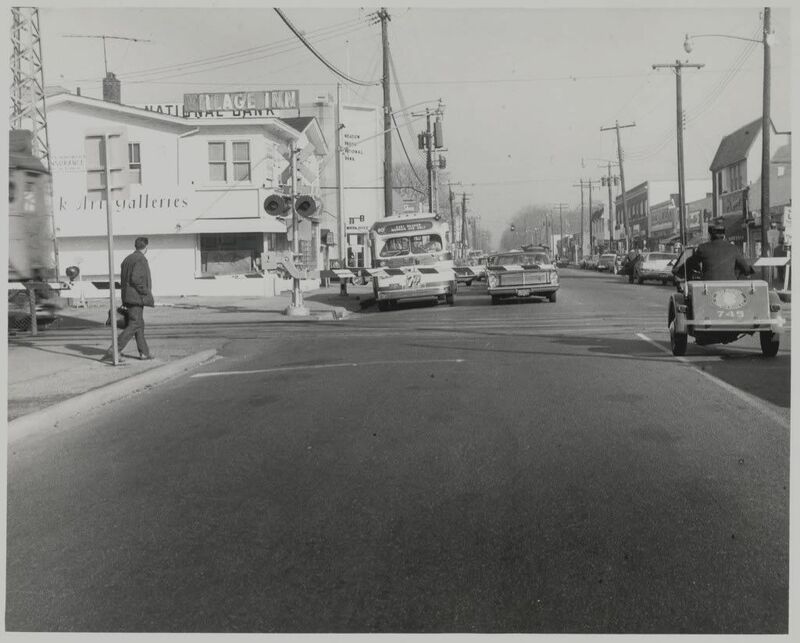 Word is that your village and the LIRR were seriously at odds during/after the project and that Floral Park is still angry at the LIRR to this day 50 years later. 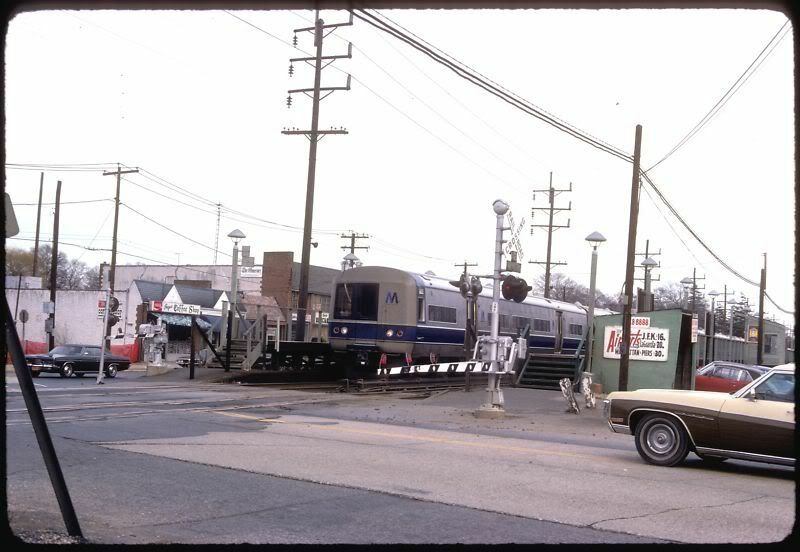 And supposedly this is the reason that New Hyde Park and Mineola won't let the railroad elevate thru their villages, 'cause of whatever happened with Floral Park. So do you remember any of the local politics of that era and what the problems were that led to the village being so bitter at the LIRR? Seems to me the final product must be an improvement over those staggered grade crossings that existed at Tulip Ave. What's the story? Last edited by Head-end View on Sat Jul 07, 2012 8:41 am, edited 1 time in total. Did anyone notice the (T) in the circle signs at the end of the platform? Thwerner at M1 height and iSight at the end of the platform, near the stairs. They look exactly like the T symbol used in Boston. I was wondering what those were for. I've really, really got to thank everyone here for the photos, there just isn't enough to say about about it, LB your the best. It's so great that we can share all of these memories and this modern marvel project. I may have been born in 1990, but I just hope I'm not the only 21 or 22 year old that would be interested in these topics.